Puri Mas Boutique Resort & Spa is quite expensive with all its luxury facilities and oceanfront view. But still, you can book a room for around $65 per night. 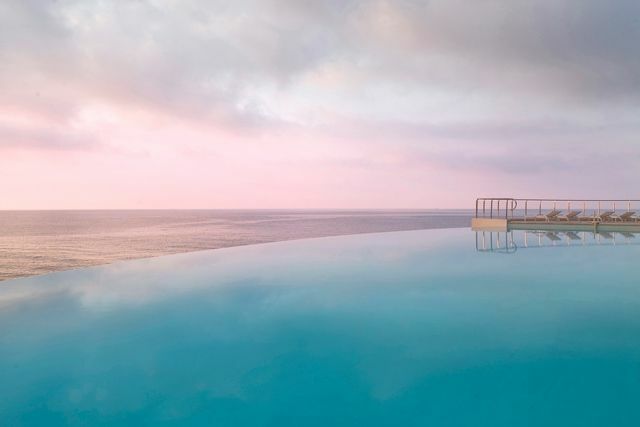 Dip yourself in this pool to see how you will keep staring at the Ocean. 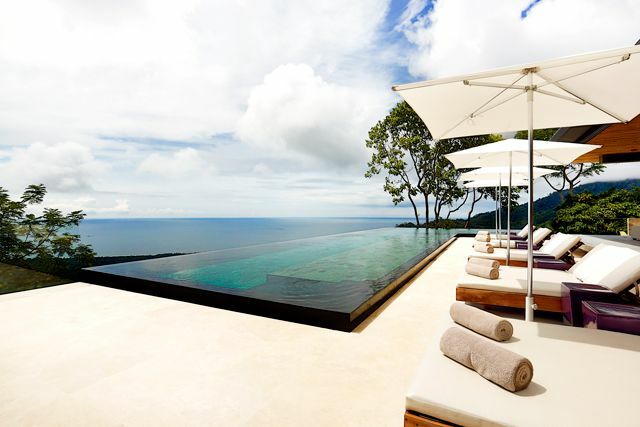 Kura in Costa Rica is one of best examples of luxury that grants you with many breathtaking views of nature. Now, this is what I call luxury at an affordable price. It would be a perfect getaway at an adoring nature loving villa. 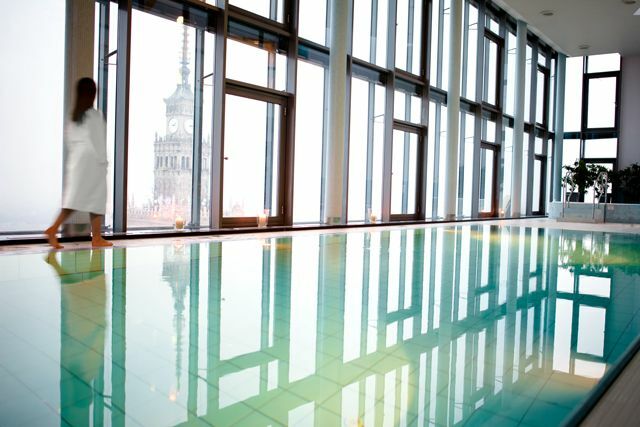 The Intercontinental in Warsaw is one of the tallest buildings in the city which grants access to many of the famous tourist attractions. This infinity pool at the top of 43 floors gives a great view of the entire city. 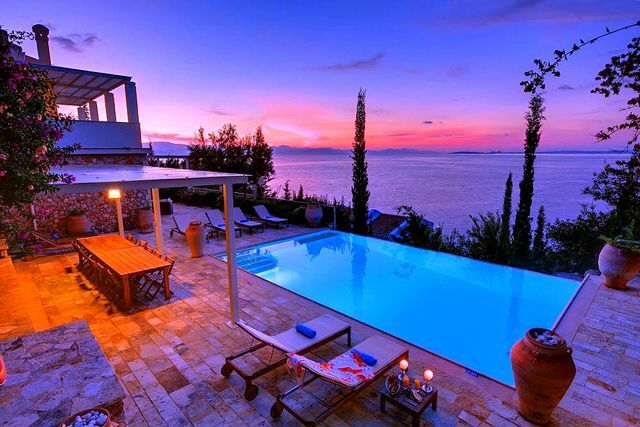 The Lefki villa in Corfu is a four bedroom luxury villa with a spectacular view of the sea. The sunsets in the evening by the pool is quite astounding. The alluring purple sunsets by the villa will never let you go. 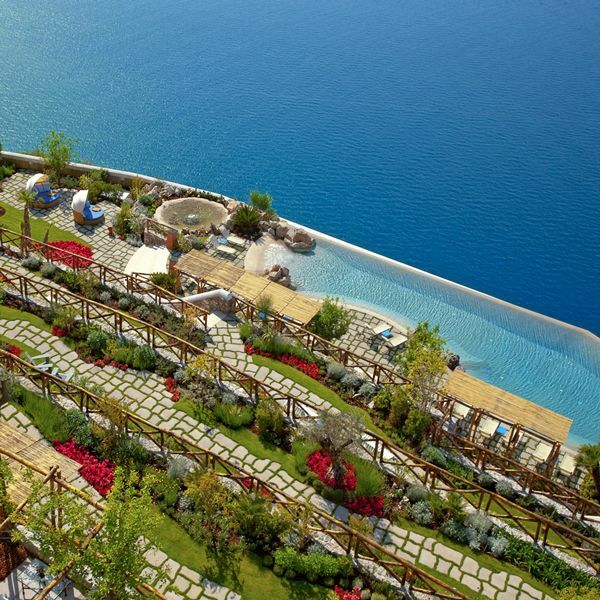 A luxurious infinity pool in Turkey which grants you a view of the entire continent. 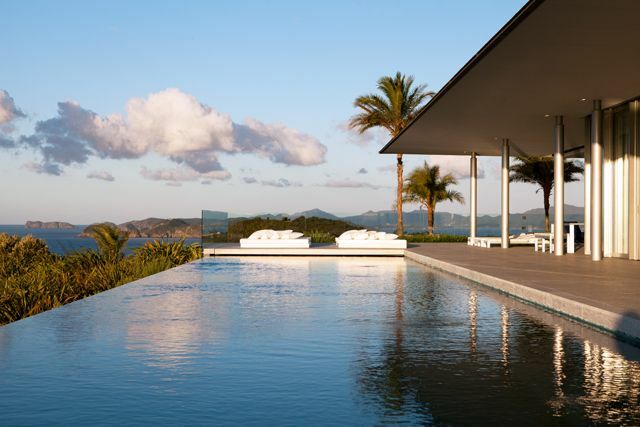 It is a gigantic infinity pool with a thriving view. 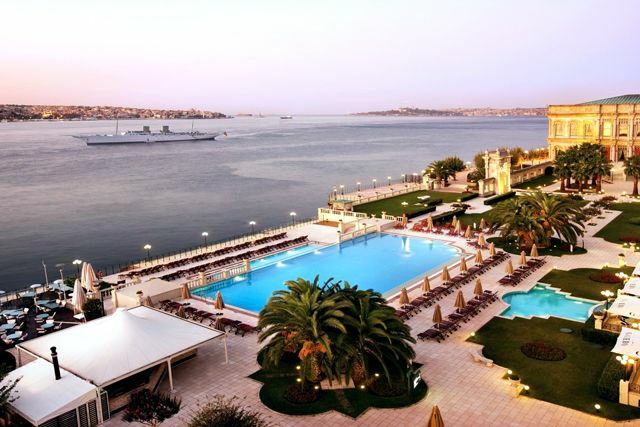 The Çırağan Palace Kempinski with 310 rooms and all means of luxury, is worth to be called as a palace. The Marina Suites is a luxurious aparthotel which lies on the coastline of Gran Canaria. The infinity swimming pool is the jewel of Marina Suites which gives you the romantic views of the sunsets overlooking the Atlantic Ocean. The Eagles Nest is a luxurious mountaintop hotel which is on New Zealand’s North Island overlooking New Zealand’s Bay of Islands. This luxurious hotel will cost you over $2000 a night which is quite expensive indeed. 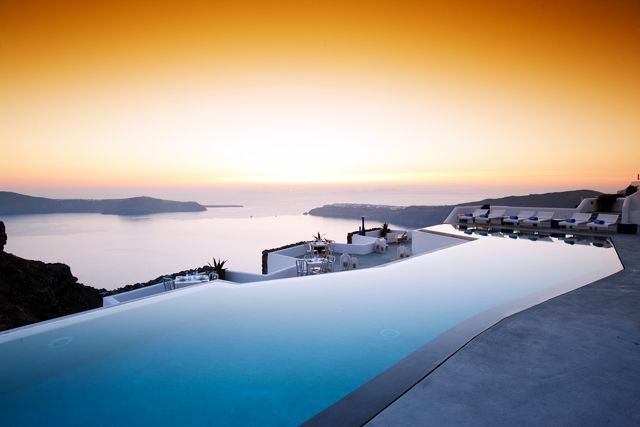 The view from this swimming pool looks as if you are looking around from heaven. 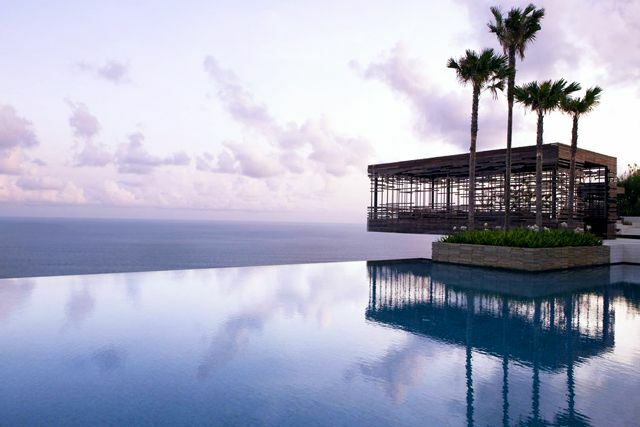 The Alila Villas Uluwatu is another wonder of modern luxury hotels in Bali. This infinity pool is another one with a stunning view of the environment. 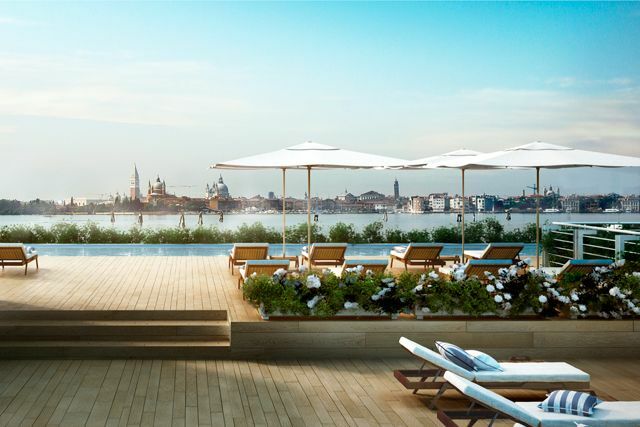 The JW Marriott Venice Resort & Spa is a 5-star luxury hotel in Venice, Italy. It has a luxurious infinity pool with a rooftop view. 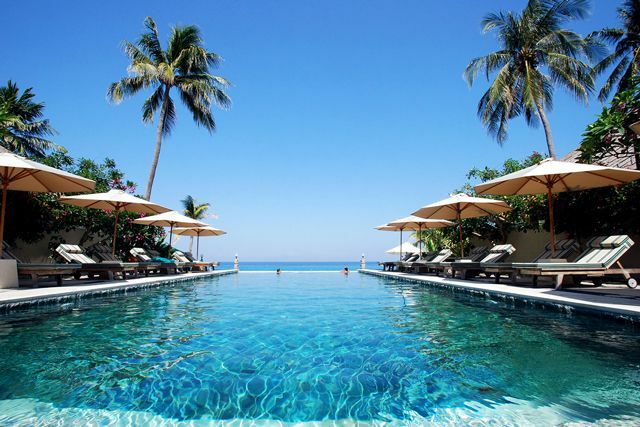 The infinity pool is one of those well-designed hotels in the midst of the natural surroundings. The Grace Hotel is a luxurious boutique hotel on a cliff-side in Santorini, Greece. 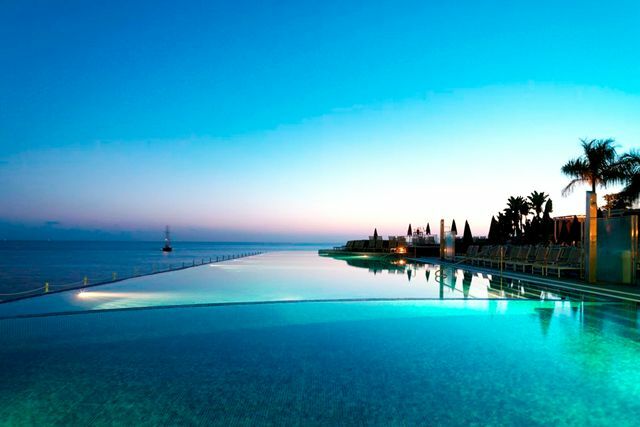 The view from this infinity pool is a real stunner that attracts thousands of guests every year. Finally, there is an Oceanfront villa for an affordable price. The Sarann lies on the Chaweng Noi beach in Koh Samui. 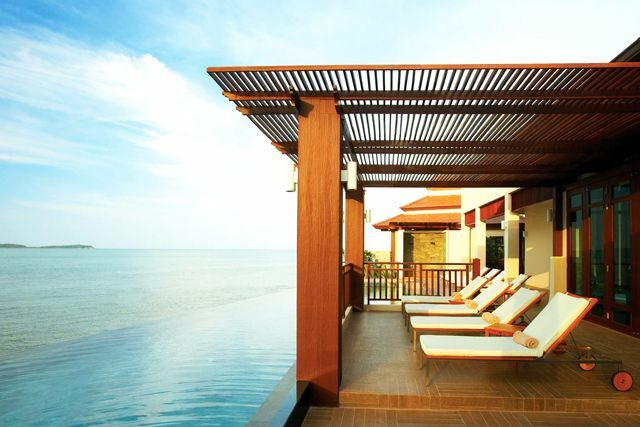 The Sarann in Koh Samui will only cost you around $100 a night where you can enjoy breathtaking views of the Ocean while dipping yourself in the infinity pool. The infinity pool at the St. Regis is the best place to steal alluring views of the Bangkok city. 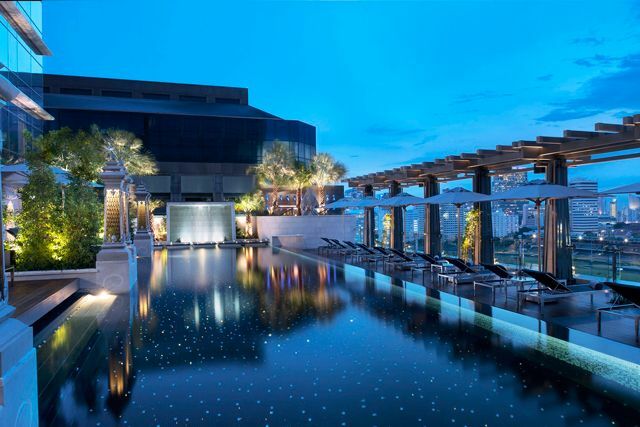 It is a rooftop infinity pool with modern furnishing to enhance every mean of luxury. 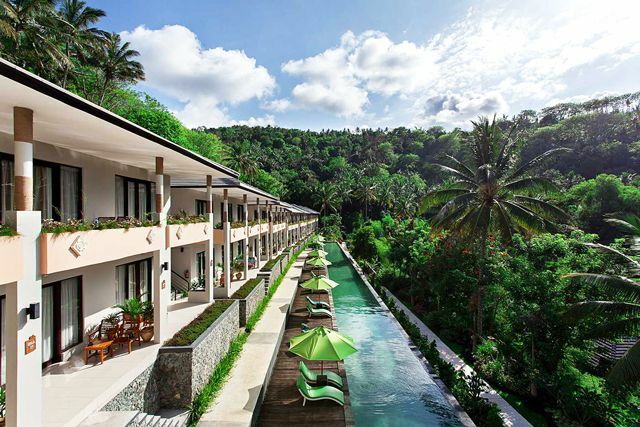 In the midst of its green environment, the Kebun Villas & Resort is unique among all the other hotels and villas. It gives you the feeling of living in the natural environment even while dipping yourself in this infinity pool overlooking the inspiring surrounding. Here is the best place if you want to be at the top. The Shangri-La at Shard in London gives you the most stunning views of the city by being one of the tallest buildings in it. 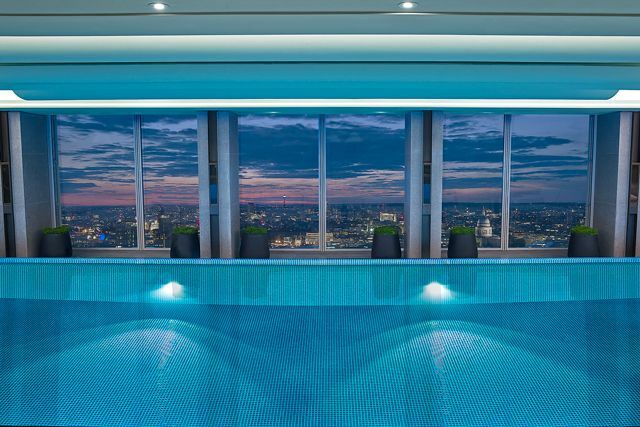 The sparkling infinity pool on the 52nd floor offers the best of it. The Monastero Santa Rosa which was initially a monastery during the 17th century which is now a stunning boutique hotel which lies on the Almafi Coast in Italy. 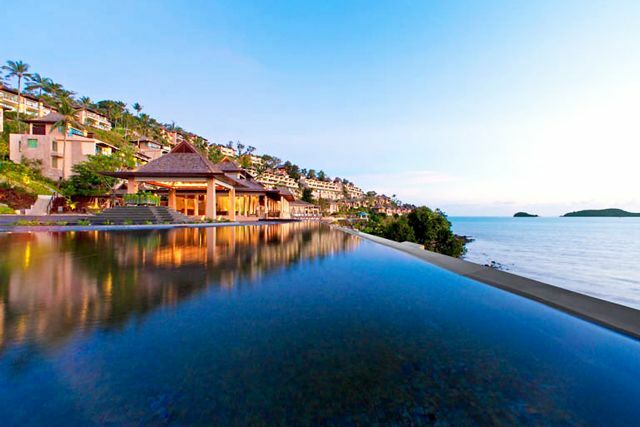 The infinity pool at this boutique hotel is something that you should try. 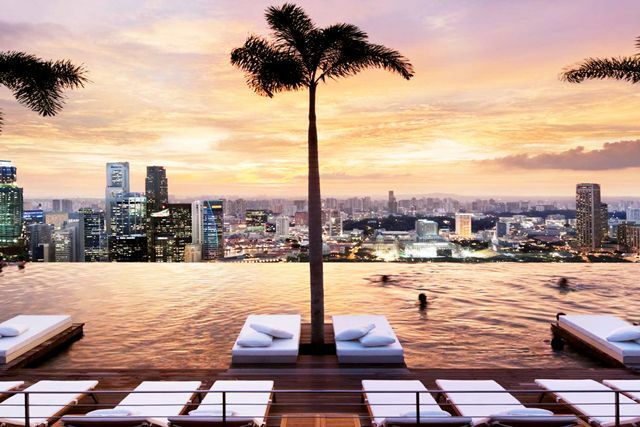 At Marina Bay Sands Hotel, Singapore you will find the world most extensive rooftop swimming pool where you can see quite a whole of the city. Now don’t expect this to be cheaper as it is expensive indeed. The Westin Siray Bay Resort & Spa is another affordable resort in our collection. The Westin Siray Bay Resort & Spa is only 15 km away from central Phuket where it is easily accessible. A one night stay at this place will cost you just about a $15o which is quite cheaper when compared with the others. Now, this is a hotel Surrounded terraced gardens and palms with a beautiful scenic view in France. Here you get a private beach and a saltwater infinity pool. It would be an ideal place for the summer vacation.